Home News Morocco Will Morocco Be the Arab Spring’s Great Success—Or Great Failure? Will Morocco Be the Arab Spring’s Great Success—Or Great Failure? The country begins down that new course today, with a national referendum on a new constitution. 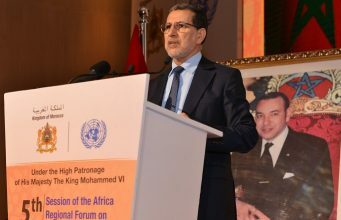 Morocco, as always, is taking a uniquely Moroccan approach. Mohamed VI, who remains quite popular with large stretches of society, but who is nonetheless exactly as autocratic as his title implies, appears legitimately eager to deliver some kind of reform. Like his fellow Arab leaders, he initially ignored the pro-democracy protesters who rose up in his country on February 20. But when the demonstrations became impossible to ignore, Mohamed VI’s response has been to try and meet some of their demands, rather than to crush them by force. He hand-picked an assembly of scholars (some of them legitimately independent and sincerely pro-democratic) and asked them to draft a new constitution that would meet with his, and the country’s, approval. The new constitution that Moroccans vote on today will invest unprecedented power in the civilian, democratically elected government; it will slowly liberalize a repressive political culture; and it will maintain the king’s position as ruler over the country. Though the prime minister will have a wide range of executive powers and though he must be a member of which democratically elected party holds the most seats, he is still selected from that party by the king, and many of powers require royal approval. Though the judiciary will become independent, the military will remain under total royal authority. And though religious freedom will be granted, Morocco will remain an officially Islamic state, with the king as the supreme religious leader. The long-oppressed ethnic Berbers would finally enjoy new rights, as would Moroccan women, but the press would remain forbidden from criticizing the king. In each new reform, there is the potential both for real liberalization and for, if the king wishes it, commitment to the status quo. It’s possible — though unlikely — that turnout could be low, as it was during the 2007 Parliamentary elections. (Who cares about picking leaders for a Parliament with little real power?) It’s also possible that the youth and February 20 movements could succeed in persuading people to boycott the referendum, which they see as only legitimizing an autocratic government they insist must end. But Moroccans, many of whom have been demonstrating in support of the king, appear poised to follow Mohamed VI’s guidance and approve the new constitution. What happens next will be, as with so many things in Morocco, up to the king. Whatever his actual intentions, he gives the impression of wanting to follow the Western European model of constitutional monarchies that gradually cede power to a civilian government. While those governments are today some of the most democratic in the world, they didn’t get there overnight. Great Britain took six and a half centuries between the Magna Carta, which began the process, and the Representation of the People Act of 1884, which finally extended a meaningful suffrage to a majority of Britons. Of course, Britain’s process was so slow in large part because democracy was the exception and because of external pressures to remain autocratic; today, democracy is the norm, and Morocco is under enormous pressure from the European governments on which it is so reliant to democratize. But Mohamed VI has, in fact, enacted some real reforms during his 12 years of rule, and he’s done it in ways that look remarkably similar to the same process he is leading today. In 2000, he appointed an advisory council (much like the council that wrote the new constitution) to explore the possibility of liberalizing Morocco’s gender laws, which, like so many in the region, were extremely restrictive. In 2003, they unveiled a sweeping list of reforms — greater legal autonomy for women, more progressive divorce laws, abolishing old laws that required women to seek a father or husband’s approval for legal decisions, etc. — which Mohamed VI quickly pushed to become law. Allowing the king to lead Morocco’s transition away from a system that benefits him most, while a far more stable process than the revolutions in Tunisia and Egypt, is risky. 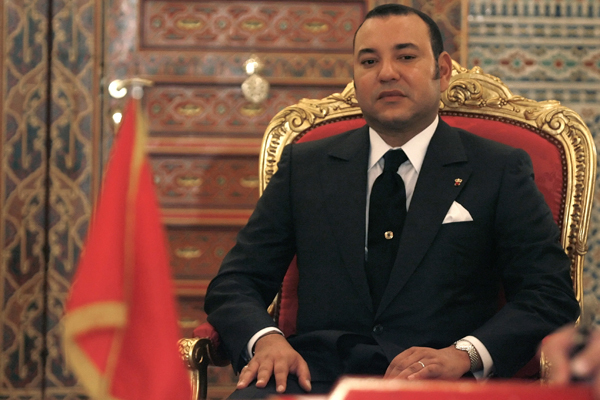 Ostensibly, today will begin Morocco’s first step toward a democratic, constitutional monarchy. If all goes as planned, Morocco could become the great, quiet success story of the Arab Spring: the only country to democratize in partnership with, rather than despite, the government. But if the process stalls — whether because Mohamed VI loses his will, because democratic institutions fail, or, most likely, because the reforms are not enough to truly democratize — then Morocco will have quietly stifled its protest movement, making it one of the great failures of the Arab Spring. Whichever happens, Morocco’s path will be, as always, uniquely, exceptionally Moroccan. Originally published in the (The Atlantic), July 1, 2011.